Our skin care products are all made with natural, wild crafted, real ingredients that are protective, nourishing, calming, and hydrating to skin. So why aren’t our products certified organic? This is a question many of our customers have asked, so we wanted to answer it here. We are absolutely committed to providing only the best nature has to offer to all of you, but we don’t want to incur extra costs that we believe are unnecessary—and then have to pass those costs on to our customers—just to support an organization. What Would an Organic Seal Mean? An organic seal on a skin care product means that the product has met the requirements of the United States Department of Agriculture (USDA) to be labeled organic. This is the same organization that certifies foods organic, and the requirements are the same for personal care products—they must be made of mostly agricultural ingredients, and must meet the USDA and National Organic Program (NOP) standards for production, handling, processing, and labeling. The ingredients must be grown and processed without chemical fertilizers, growth hormones, GMOs, or synthetic pesticides. 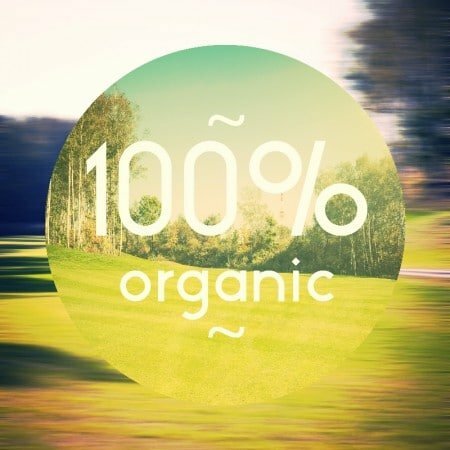 To label a product as 100% organic, the product must contain 100% USDA certified ingredients (excluding water and salt), have no non-organic ingredients, and all processing methods used to make the product must be 100% USDA certified organic. If the product meets all these requirements, it can display the USDA organic seal, and also must display the certifying agent’s name and address. To label a product “organic,” the product must have at least 95% organic ingredients (excluding water and salt) and the remaining 5% can be non-organic. These can also display the seal and must include the certifying agent’s name and address. To label a product as “made with organic ingredients,” it must contain at least 70% organic ingredients (excluding water and salt) and the remaining 30% can be non-organic. Manufacturers can’t display the USDA certified organic seal, but must display the certifying agent’s name and address. All this works very well for food, and the USDA organic certified seal is one of the most trustworthy labels around. It’s quite different in the world of personal care products, however. The USDA has jurisdiction over farm-raised ingredients only, and not all beauty product ingredients are regulated under their program. For example, plant-derived ingredients (like those we use!) and essential oils are not regulated through this program, as they are not typically food products. Other items like cinnamon, honey, and avocado are, but you can see the complications we’d run into, as we love our plant ingredients and what they can do for the skin! The USDA has simply not created specific organic standards for formulating and labeling personal care products that contain organic ingredients. That means that for us, a USDA seal wouldn’t mean much. There are a number of other organic certification organizations we could go through to get a seal to put on our products. Ecocert and Natrue are a couple of them, but there are many others. These are businesses offering a service. They would check our ingredients and our production processes, verify they meet a certain set of standards (which differ from company to company), and grant us the right to use their seal. We’d spend a lot of money for that process and the final result. We find these labels confusing, however. Since there is no standard organic requirement for personal care products, it’s hard telling what you’re getting with a seal. The IOS Natural and Organic Cosmetic Standard, for example, makes sure all food ingredients are organic and that the company follows a strict set of eco-friendly guidelines. But the BDIH certification association requires natural, not synthetic, raw materials, and considers the ecological impact of each product. Whole Foods has their own certification system that guarantees the products contain “safe, gentle ingredients” (whatever that means) and are free from synthetic dyes, fragrances, and “harsh” chemicals. Ecocert was the first certification body to develop standards for “natural and organic cosmetics,” and requires the use of ingredients derived from renewable resources, manufactured by environmentally friendly processes, and a minimum number of natural ingredients from organic farming. Which of these labels would you choose? We can guess you’d be just as perplexed as we would be. It gets even worse when you’re thinking of putting money on the line—money that you have to regain through the price of your products. As you may imagine, there is a mountain of paperwork and red tape involved in securing any certified organic seal. You’re essentially paying for someone else to say your products and your manufacturing processes meet with their standards and approval. The process is lengthy. First you have to decide which certification organization you want to go with. You need to study and understand their requirements, outline your own production practices and verify your compliance, then fill out and send in a lengthy application. You sign a contract and an estimate—after all, these organizations are in this for the money—and a certification officer proceeds to validate your raw materials, formulas, manufacturing processes, labels, and communication tools. He also does an on-site audit, then processes your file, and if after everything (which can take months to a year), if the organization approves, you receive certification and permission to label your products accordingly. Then you continue to pay an annual certification fee. It’s not uncommon at all for the process to end up costing in the tens of thousands of dollars, especially when you consider all the hours spent completing the process, as well as the payment to the organization. At the end of the day, we have to ask ourselves one question: Is it worth it? At Annmarie Gianni Skin Care, we decided the answer to that question was “no.” Why make our customers pay for certification? We have seen other companies with certification seals that are delivering products that are not effective for their customers. It all comes down to marketing, as these other companies are going through the process strictly to sell more products and justify a higher price. Finally, we work hard to establish trust with our consumers. That’s what it’s really all about. We believe you’re unlikely to trust us more because of a label—particularly if it means you have to pay more for the product! So we choose to do our thing without seeking the approval of some organization. We hope you agree it was the right decision! What do you think of organic seals? Would you buy a product simply because of a seal? i personally believe that a pledge from a company to use healthy products are far better than any organic seal. Thank you for such an in depth explanation on this topic. In owning my own natural skin care company, I understand, relate and agree with your article. Thanks again for sharing. Unfortunately, I don’t trust any certificates or companies. I understand your point and I wish you all the best but I would need to be employed i the company and see the whole process to fully trust it. This is why I always choose products made by myself or my friends, mainly from local ingredients. This means I hardly use any cosmetics because it takes a lot of effort to prepare them. I really like your blog and have a good feeling about what you are doing..but for a consumer like me-small, local companies that are able to give a tour for all their customers is the way. Yes, it becomes expensive..but I think a lot of people will appreciate such products more and learn to respect the hard work of others. All the best! I congratulate you on your decision to not label USDA Certified. I personally don’t find that certification has much value. Your products are the cleanest and best acting for most consumers. Keep up the good work. The only way we as consumers can truly know that a product is safe and lives up to its marketing claims is to have an independent organization doing in-depth audits to verify that the ingredients a manufacturer claims are being added to skin care products, actually are. Yes, it’s tricky (and expensive) to become certified, but it is very doable and totally necessary in this overwhelming world of unlabled, untested, unsafe products. And I promise you that it will NOT compromise the quality of your products. I can actually understand choosing not to invest the time and money in having your products certified, but it’s an entirely different matter when a skin care company claiming to be organic actively misleads the public in an effort to justify their choice. P.S. I also noticed on another page of your website, you talk about how the USDA organic certification process doesn’t provide a good standard for skin care products. That is true, but you didn’t discuss the NSF standard that so many of my favorite products are certified to. I’d love to see you consider looking into it. Hi Alicia! We totally see the value is an independent organization auditing a product/company. We’re actually working on a certification for our products right now! We just don’t think that the USDA Organic Certification label is the best one. Thank you for being a conscious consumer; it’s important! Your ingredients and your reasons for not certifying them are very suspect. Please use INCI names for your ingredients to describe them including weather they are extracts preserved with organic alcohol or any other. Also include how all the products are preserved. Have they passed challenge testing?? Kelly has a good point. This format (INCI) is the standardized international format for listing ingredients on cosmetic and personal care product labels; A uniform, science-based method of ingredient labeling that increases consumer understanding; e.g., the genus name of the herb or plant, (sometimes just the capital letter abbreviation of it), is followed by the species, (spelled-out in lowercase letters) /This is important because the species indicates the country or countries of origin, and this has everything to do with quality! Lavender, Lavandula angustifolia Mill., grown in California is therapeutically substandard when compared to lavender that grows in France, because the growing conditions in the South of France are ideal for lavender, it’s country of origin. Thank you for your explanation. However, there are a couple of misconceptions stated in your article. First of all, essential oils can have the USDA organic certification. The company I work with has chosen to become USDA certified and their essential oils all carry the USDA seal. And the USDA label is the gold standard for third party organic verification, although as you stated there other certification agencies. For those who may not know what’s involved, UDA certification not only includes not only the ingredients that go into each products, but the manufacturing process, the equipment, what kind of products they use to clean the manufacturing facility, what the labels say, the packaging, their record keeping, etc., etc. It limits the vendors from which they can buy ingredients and some supplies, it is a big deal and in my opinion, reflective of a company’s commitment to being non-toxic. I just want people to know that yes, it is a choice, but because many companies have chosen not to become certified mostly due to cost considerations, doesn’t mean that the certification is meaningless. It doesn’t mean that because you’ve chosen not to go that route that you’re anything less, but I’d rather companies not “diss” the certifcation process just because they’ve chosen not to participate. Communicating with customers is the best way to do this. I like that there is a dialogue on this topic. Just because something is organic doesn’t mean it doesn’t harm the environment. For example, if you used Palm Oil collected from an endangered Rain Forest, is that still organic? I just don’t think that a label tells the whole story and I really want to know, where things are acquired, harvested etc. I accept your reasoning but just want to confirm whether or not you include raw materials generally not considered to be organically raised and if so, which ones and in which products. I realise that this list might be long so I am happy for you to generalise by range. Thank you Annmarie, for the detailed information…. and what it comes down to, for me, is that we must all rely on our inner knowing to read the energy of the person/products we are investing in….. if a label does it for you and you are willing to allow someone else (who has a vested financial interest) to make those decisions for you, then be prepared to pay more and perhaps even receive less for it….. I personally will go with my intuitive gut response and buy accordingly… due diligence is the best approach for me….. I have used these products …. they are fabulous….. I believe more the local, small, family owned companies that use wildcrafted organic plants- I do not need to see the seal of approval by USDA- in fact there are so many companies who jumped that USDA wagon- it seems that most of certified organic cosmetics is mass produced to get the money for the product which might not be all organic but still with USDA seal- I’ prefer no seal knowing that the local business produces product in small batches and fresh- I ‘ve found those companies, who also open doors to their warehouses where you see all the plants and process with your own eyes- I prefer giving my money to support such trustworthy businesses. And thank you for your work and integrity! Thank you for all the explanations. I have been following you for many years and I am absolutely convinced of your honesty. I live in France and up to now I only tried some samples as the product I wanted to buy from the french representative was out of stock. To me the quality is amazing and I would definitely buy more of your products if I could afford it as the prices here in France are 30 percent higher than in the US. If something is on 70 % organic and is certified as organic, then I would have a problem with that. That is NOT organic. In my mind, that equates to have a bottle of pure water, and adding 30% sewage water. Would you drink it? Why can’t we have true honest label. If it is not all organic, then it is not organic. It is contaminated organics at best. I love your products and stand behind you 100%. I know you’re passionate about creating the best natural skin care products because you care about yourselves and family, us-your customers and the earth. I also agree with Kevin’s explanation on why give money to the government when they show two sides of good and greedy. I can’t always afford your products but when I can I buy them. They are the best-keep up the great work! I am a regulation and certification freak when it comes to my organic products (our lifestyle is about 95% USDA certified organic). However, I need to point out that this is because I don’t trust that most of the big corporations out there are considering what’s best for my family over their own profit margin. Many Horizon products are USDA certified organic and I wouldn’t trust that company or their paid for seal on the majority of their products …. They are very shady in their practices and the how and why they do what they do. That said, I need to point out that my entire family uses the Annmarie line of products. It all boils down to company culture and philosophy and they nail the trust factor for me simply because of who they are at the roots of their company. Having super sensitive skin when it comes to anything with even the gentlest of chemicals, perhaps much of my trust comes from the phenomenal response of my skin to this line. I also very much trust those behind Food Matters as well and highly doubt that they would steer us wrong. When it comes to products such as these! Thank you for explaining your stance on this though …. I’m all good with it and back you 100%! Thank you for a very interesting and thought provoking post! A question for you … Do you feel the same regarding the Toxin Free Foundation and their seal of approval? I have recently read that products need to be 100% toxin free to achieve this seal. Kudos to all of you at your company. This is the attitude, and practice, that we need to recover our country. Your honesty and sincerity brings TRUST, which is sorely lacking for our government agencies. You prove that one can make a profit (which is needed to make a living) without deceit or price gouging. My only hope (and hope for our children’s future) is that many other companies will emulate you and your practices. Thanks for sharing your explanations for not get the organic seal. I am in total agreement when it comes to giving money to the USDA ! Your products speak for themselves. I was troubled with dry rashy skin prior to using your products. Now people ask ME what I use on my skin and I tell them every chance I get! I say stand firm in your beliefs and let your products sell themselves! Wonderful people, wonderful philosophy, wonderful products. What more could we ask? Thank you, Annemarie and Kevin, for making our world a better place. Thanks for reading this everyone. This is Kevin Gianni, co-founder and CEO. I wanted to add some more points to this article to add more detail to our reasoning. I saw a few questions and comments come through on social media and the blog, so I thought I’d clarify a little deeper. 1. Are you degrading or knocking down other companies that are certified organic? No, we’re not interested in knocking down other companies that choose to become USDA certified. We’re all in it for the same reasons — to bring high quality products to the market — certified or not. We disagree. The process does require people, time and money — and when we spend money, we like to feel good about what we’re spending it on. I think everyone does. High quality ingredients for our customers is our first priority — even if they’re not certified organic, but grown with organic practices. We don’t want to limit our sourcing to just certified organic just because it needs to be certified for us to have our certification. I’m sure some of you have been to the farmer’s market and bought produce from local farmers who don’t certify their amazing, organically grown produce. Many times it looks and tastes many times better than the waxy, certified organic romaine lettuce at the grocery store. And chances are it is better — more nutrient dense, more nutritious. We look at sourcing ingredients for skin care the same way — autonomous of a label to force us decide what needs to be in the product. Additionally, we have a little bit of activist in us. We’re a team that wants change. We feel that the money we would give to the USDA goes directly to a corrupt and fundamentally broken organization. A portion of the money going to the USDA, goes directly to subsidies and companies that support and help proliferate the spread of GMO foods. So giving money to the USDA for certification — a choice, unlike paying taxes — is voluntary. We think this is a good thing. We don’t have to support what they do if we don’t like it. So, I think our stance is clear. We stand strongly when we feel strongly. Our hope is that — with the help of you, our customers, and our industry — we can do our part to change some of these incongruities and eventually feel comfortable with a certification — USDA or not. But just to re-emphasize — we’ve got a little bit of that bleeding heart activist from Berkeley, CA in us — so maybe we’ll never be satisfied. But, we do want you to be sure our mission — like our products — is pure, honest and intentional. Kevin and Annmarie – thank you for your stance on USDA, their subsidies, and GMO’s; this is exactly the way I feel as well! I loved your products before and respect your company and it’s philosophy even more now. Do you know how refreshing it is to find a company that actually cares about the health and wellbeing of others, as well as this planet? AND actually takes a stand and puts that caring before profit?? That keeps becoming more rare every day. Thank you for all that you do, and for your amazing products! I have used your product and love it. I don’t require organic. Thank you for considering it, but then the cost of the product would also need to go up. At this point I am unemployed….so only interested in what I can afford. I trust you to keep it as clean as possible, and affordable too! I probably would buy a product because it had a seal, because if I didn’t know the companies policies and processes it would be the only way I could tell if it was organic. But I prefer your philosophy – and I trust you that your products are as healthy and effective as you say. And I can fully appreciate you not wanting to increase costs just to get an organic seal. So good for you! I will continue to be a customer. I am retired and I carefully chose what I need for my skin even while I don’t make much money. Remember at the the dept. stores that provide chemical laden beauty make ups and skin care products are much more expensive than the products from Annmarie products that I had purchased in the past. I love Ann Marie products that contain no chemicals and their prices are reasonable. I am happy with this brand that are kind to my skin. I do buy organic food for myself for I have severe food allergies. I survive so well. I totally trust you and am so thankful that you do not waste the time and money (which would have to carry over to us) to go certified organic. I know you use only the best of ingredients. Thank you so much, Kevin and Annmarie, for caring and bringing such wholesome, pure products to us consumers. Thank you. Thank you. Thank you for clarifying. Yes, I typically purchase products containing the “USDA Organic seal. However, I read the ingredients before adding any product to my shopping cart. I do believe it’s a waste of time. I trust your organic products because I have used them and know that they work! So what is the difference if it has a seal of approval! I am the one who needs to approve and I do! Thank you for the information and for your awesome, great smelling and working products! I agree completely with your conclusions. The transparency you already provide concerning ingredients and processes are sufficient, coupled with the absolutely premium quality of your products. The credentialing on the label would have made no difference to me at all. The overhead costs for certification would bring nothing to the table as far as I’m concerned except potentially much higher prices. Your oils are superb – keep your focus there, and thanks! I totally agree with you! Thank you for caring about the price and the quality of your products! I do buy organic most of the time. I do love all the products in your line that I have tried and I know how expensive oils are. I’m able to afford this luxury while I’m working but if I retire,I won’t be able to afford the few luxuries that I do enjoy now. I will be 71 in April and have been thinking about retirement lately but not sure it is time yet.. I have very little faith in any agency overseeing or stamping organic products. Many of the companies I used to purchase from have all sound out to GMO companies, which devastated me. Thank you for this much needed article because I don’t believe many of us are aware the cost involved with these organic overseers and what it takes to get products stamped “Organic”. I think this is a good choice your company has made with logical reasons not to go down the path of getting one of these seals of approval. I think your products stand on their own once someone has experienced them, it is what brings me back. I would not buy a product just because of a seal, more due diligence must be done for something that I will put on my skin. Thanks for presenting this article, I have never seen such a complete and in-depth article on organic products like this previously. Personally, I read labels and look for products that contain healthy ingredients. Some companies will respond to further explain what their products contain, when I have been confused and I have appreciated their candor. Some won’t, so I don’t buy them. I wouldn’t purchase a product simply because of a seal – and I personally am not that enamored of the USDA or any other government oversight agency in their ability to protect consumers. Thank you for explaining everything. I still prefer that products be labeled organic. It is very hard to trust anyone that has a business because you are trying to make money. Therefore, my conclusion is that I will do without these products.